Two TiAl alloys, Ti–47.5Al–3.7(Cr, V, Zr) and Ti–47.5Al–3.7(Cr, V, Zr)–0.1C (at.%), were melted and cast with the same process, respectively. Microstructures with strongly oriented lamellae were both observed in these two alloys followed by hot isostatic pressing and heat treatment. Ti2AlC carbides were identified in the alloy with C addition. Stress rupture tests were carried out at 800 and 850 °C, with tensile stress from 220 to 400 MPa, respectively. It was shown that the alloy with C experienced much longer lives than the other, especially under the condition of 800 °C/260 MPa, 800 °C/300 MPa, 850 °C/220 MPa, 850 °C/240 MPa and 850 °C/260 MPa. 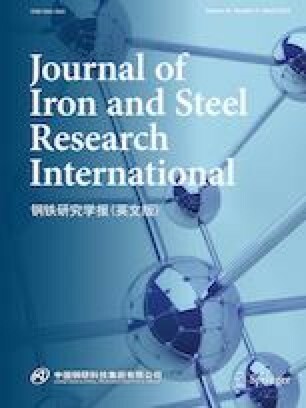 Observation of ruptured specimens revealed that the microstructure stability was improved significantly in the alloy with C addition which is attributed to the strengthening effect of Ti–Al–C carbides. The Ti2AlC carbides mainly increased the resistance of dislocation passing through the interfaces and kept the integrity of the interfaces. And Ti3AlC carbide was formed during stress rupture process, which could not only effectively act as the barrier of dislocation movement inside the lamellae, but also strengthen the lamellae itself. This work was financially supported by National 973 Project of China (2015CB654902) and Chinese National Natural Science Foundation (11374174, 51390471 and 51527803). This work made use of the resources of Beijing Key Laboratory of Advanced High Temperature Materials and the National Center for Electron Microscopy in Beijing.